This study reports the estimation of source parameters in and around Izmir, western Anatolia (Turkey), using data recorded by 18 strong motion stations belonging to the local accelerometer array (IzmirNET). The displacement spectra of SH waves are calculated for 55 earthquakes with a moment magnitude range (Mw) of 3.4 to 5.7 recorded by at least ten stations. The corner frequency (f0), spectral level and fmax are acquired from the displacement spectra in order to analyse the source characteristics of the events using Brune’s source model. Seismic moment (M0) values are computed between 12.74 and 17.93 Nm, spectral level (Ω0) values are detected between 3.17 and 6.44 nm s, source radius (r) values are calculated from 0.45 to 2.28 km, and seismic energy values are estimated between 2.07 × 1013 and 6.45 × 1020 erg. Computed stress drop (Δσ) values vary from 0.72 to 346.9 bar, and this result is significantly lower than the values of 0.017 and 647.6 bar reported for the Marmara region, northwestern Anatolia (Turkey), and slightly lower than the source sizes of the events of between 0.0862 and 5.1042 km. 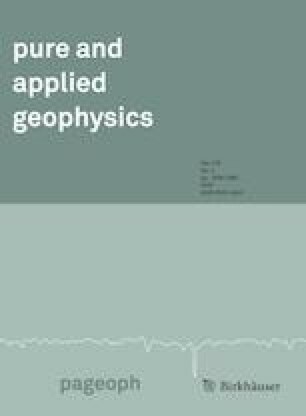 However, similar results were found for seismic moments (Koseoglu et al., in J Seismol 18:651–669, https://doi.org/10.1007/s10950-014-9435-2, 2014). From the results of the present study, it is concluded that scattering in seismic moment, stress drop and hypocentral distance during large earthquakes is observed by an increase in f0 and fmax , which is related to the complex tectonism of the study area. Special thanks to anonymous reviewers for their comments and constructive criticism, which greatly improved this paper. This work was supported by the Scientific and Technical Research Council of Turkey (TUBITAK) project 106G159.